Personal Injury Attorney > Car Accidents > Do Red Light Cameras Reduce Traffic Accidents? Red light cameras have never been popular in the United States. Nobody likes to get a ticket in the mail for driving through an intersection when the light was yellow. There is something about red light cameras that intuitively seems unfair. The cameras are seen by many as a means of generating revenue. However, most of us find solace by telling ourselves that at least they make our roads and lives safer. Red light cameras automatically take a photograph of vehicles passing through an intersection. The cameras are directly connected to the traffic signal and to sensors that monitor traffic. The camera system monitors the traffic signal, and saves the photograph of any vehicle that do not stop during the red signal. The camera stamps the date, time of day, time passed since beginning of the stop cycle, vehicle speed and license plate. A trained human is supposed to review the video to confirm violations. Tickets are mailed to the registration address of the vehicle owner, not necessarily the driver of the car. If a recent study is to be believed, these cameras aren’t really making our lives safer. In response to a set of statistics released by the Chicago mayor’s office, The Chicago Tribune commissioned a thorough study to investigate how the red light camera system is faring. The results of this study, to say the least, exposed the tall claims made earlier by the mayor’s office. It revealed that it had fudged data and made spurious claims to make the cameras seem effective in reducing the incidence of accidents. More shockingly still, it also appears that the introduction of these cameras has actually rendered Chicago’s intersections less safe. 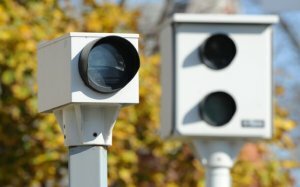 As of January 2018, 422 communities across the United States have red light camera programs. There has been a small reduction in angle and turning injury crashes by 15% since the introduction of these cameras. However, the number of rear-end injury collisions has actually gone up by as much as 22%. When people know there are cameras at an intersection their driving behavior is altered to avoid a ticket rather than make logical driving decisions. Studies reveal that the total number of injury crashes at the intersections since the introduction of the cameras has gone up by as much as 5%. No doubt, safety benefits from the cameras at intersections have prevented a few crashes; however, there is undeniable evidence that the introduction of these cameras has actually increased the number of crashes at intersections. Local governments across the country have been raising substantial revenues through traffic cameras. Independent studies have shown that many cities would face a budget imbalance if traffic cameras weren’t there. Cities stand to lose tens of thousands of dollars if these cameras are removed. 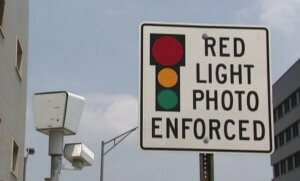 A Tribune study noted that the red light cameras have raised more than $500 million from $100 tickets since 2002. The numbers discussed so far give rise to some uncomfortable questions. Would the local governments really give up all ticket revenues if more studies proved that traffic cameras aren’t really making our roads safer? Do these cameras exist solely to rip off money from taxpayers? It doesn’t help the case of these cameras that many studies also seem to point toward the fact that thousands of drivers have been cited mistakenly by the traffic camera system. Lafayette’s red light camera program was suspended in 2017. When the program began in 2007, it initially brought in approximately $1.8 million per year. In the last few years, that revenue dropped to around $1 million per year. Over the course of the program there are over $10 million in unpaid fines. Many people refuse to pay the citations, believing they are unjust and unenforceable. Red light camera tickets do not go against your driving record. However, an unpaid ticket may be reported to a collection agency and negatively affect your credit score. It is difficult not to conclude that traffic cameras are ineffective in reducing traffic accidents and that most likely they are in place solely because they bring revenue to the government. Even still, when you are issued a traffic ticket from a red light camera, you must deal with the legal aspect of it. In such a situation, you’ll need the help of legal experts. The Law Offices of L. Clayton Burgess is your one-stop solution to all sorts of red light violation cases. Our consultations are usually free as well. So, if you’re avoiding contacting a lawyer because you don’t think you can afford one, cheer up as you actually can!